When I first started buying foundation everything seemed too dark and orange, but as the years have gone on it now seems that all the shades that are light enough for my skintone always pull too ashy and pink on me. No matter what the shade name- sand beige, buff, naked, ivory or vanilla, when dry these foundations just don't look quite right against my neck but the darker more yellow colours are just too dark. My skin is naturally yellow toned but self tans (which I wouldn't be without) seem to make my undertone a lot stronger. Don't get me wrong, I don't walk about with the body of a Simpson, so it's annoying that brands think that when you're pale (even with self tan) your skin must be pink or beige coloured. 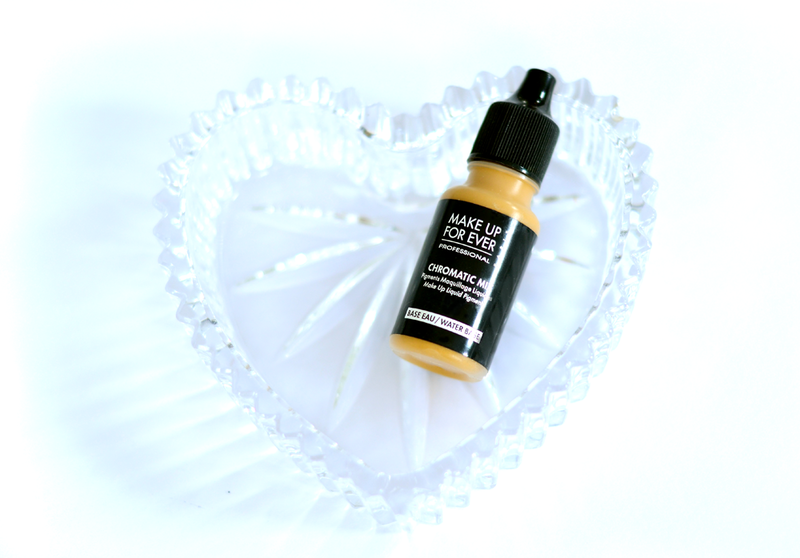 Make Up Forever Chromatic Mix in Yellow is a liquid pigment that aims to change the tone of makeup, allowing you to mix up your perfect shade with perfect undertone. The Yellow colour isn't a bright banana or Simpson colour but more a mustard yellow with a very slight green tinge that matches self tan well. The pigment is in a small dropper bottle and is very liquid so I need just under one drop to mix in with my foundation for a full face. I find it makes my foundation a little looser and easier to blend, but it also dries a little bit quicker and smells a little strange once the product is mixed in. I've found it really helpful to counteract the ashy tones that beige and pink foundations can bring to my skin without darkening the foundation too much, and the colour blends easily into my neck to create a more seamless finish. The small bottle contains 13ml and although this doesn't sound like a lot, you need such a small amount that it will last for months. I bought the water based pigment as my current favourite foundation Revlon Colorstay for Normal Skin is water based, but MUFE also do an oil based version for oil and silicone based foundations. I will probably purchase that too as the majority of foundations are oil based, especially from more affordable high street brands which seem to pull the pinkest on me in the lighter shades. In addition to yellow, the Chromatic Mix liquids are also available in white, brown, black, red and blue which perform different functions from making make up lighter (white), darker (black) to removing luminosity (brown). I've heard the red and blue colours are very good for mixing the perfect foundation shade for dark skin tones, and I think a tiny drop of the black or brown colours would be helpful for anyone who tans well in the summer but hates having to buy a whole new set of foundations. 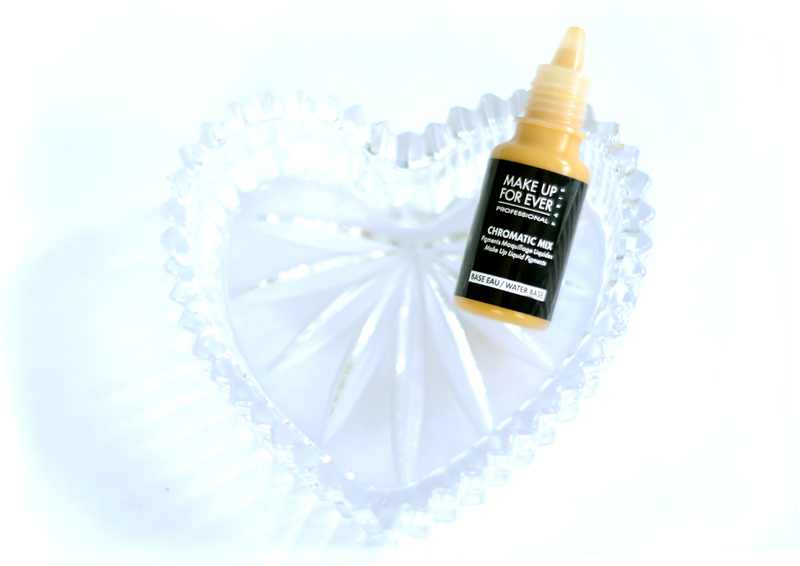 Make Up For Ever Chromatic Mix liquid pigments are available in the UK for £12.95 here.